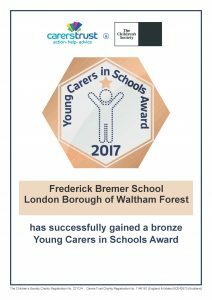 We are very proud to announce that we are the first school in Waltham Forest to receive the Bronze Award for Young Carers in Schools. Young Carers are depended upon by others for their help, be it emotional, practical or physical care of either a parent, sibling or other family member. 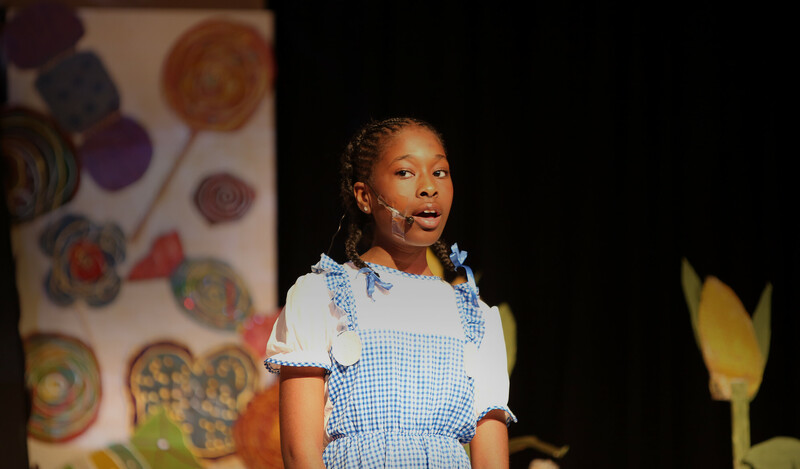 Frederick Bremer has worked very hard to make sure that all our pupils don’t miss out on any opportunities or education, especially those who are young carers. We are now trying to achieve the silver award so watch this space. If you are a young carer or think your child is a young carer please contact Ms Davies on 020 8498 3349 or at d.davies@bremer.waltham.sch.uk to see how we can help.